When I started with Blogging Marathon, the basic rule was that all members should comment on the participating blogs. I know this rule makes it being forceful. However my idea was, when you start reading and comment in a blog, you will get used to that blog and would not need a rule to make you comment. It always worked and even when I experimented for an edition by not making commenting mandatory, members still commented on all blogs. Blogging Marathon pattern is now changed from seven days to three, giving us all more time on hand to visit and enjoy our group blogs. Everybody loves getting comments, especially in a food blog, most comments that land end up being “Delicious” “Yummy” “too good”, well even if these comments come left right and center, I am sure we will still like to get them. I have been guilty of leaving such comments. Well it doesn’t mean the reader has not read your post, it can simply mean your pictures come out so delicious! Flip side of this, imagine your reader is unable to leave a comment. Won’t you be distraught? Won’t you end up thinking nobody actually cared to leave a word of appreciation? Well there is another line to it. 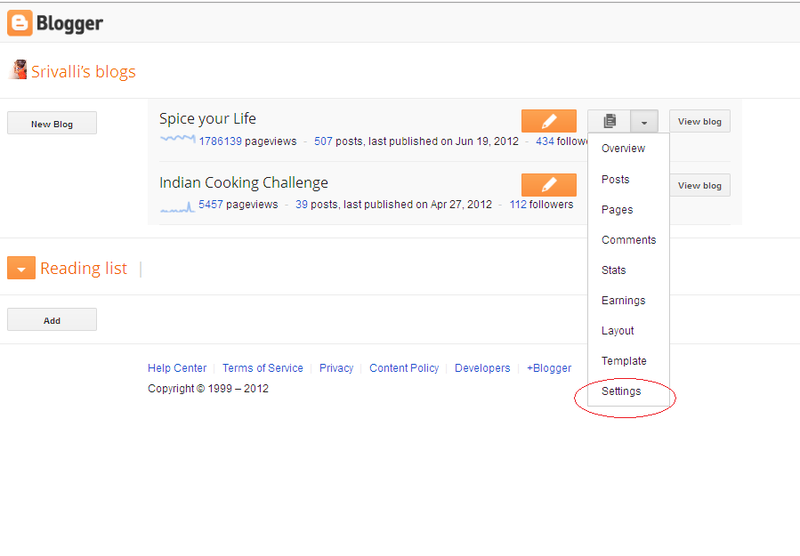 What if you have set up your blog in such a way that some of them can’t leave a comment? I know this has happened many times, even in our group. Some are with WP blogs, they don’t have to have a google account. Even if they have, they need not log in, just to leave a comment in your blog right? In a recent discussion, some said that if they are reading their favorite blog, they won’t mind filling in those scary captcha or logging into whatever is required before leaving a comment. But as an author do you want to give that hardship to your readers? I also know in most cases, it can simply be a case of not knowing this setting. Which is why this post was created. There are two ways to go to your setting. 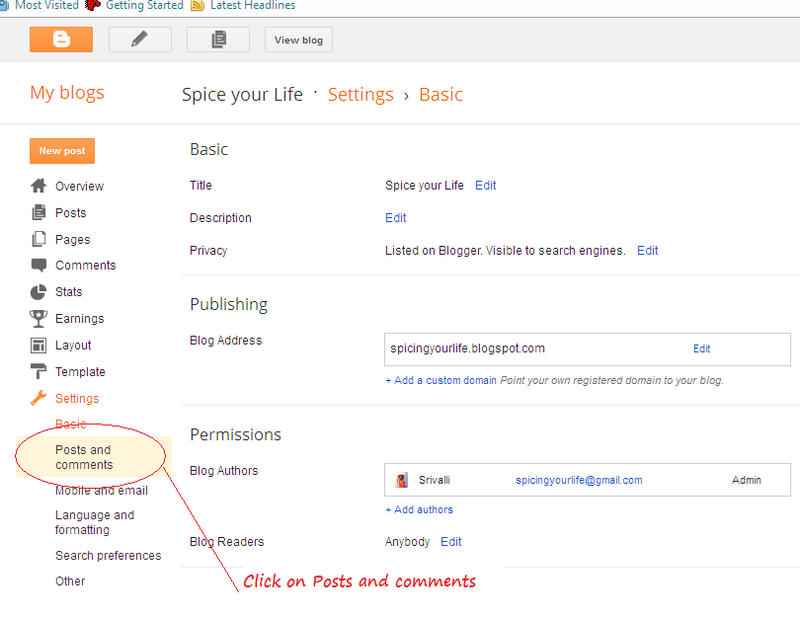 Anyone – When you select this option, anyone can comment on your blog posts as Anonymous. This is both good and bad as some might want to hide behind negative comments. Select this only if you have comment moderation enabled. Registered User – This lets your readers to comment using their registered accounts. Readers need to have at least a Google/Blogger account, Live Journal profile, WordPress account, AIM profile, TypePad account or OpenID to comment on your blog. This is much better if you want to know who your readers are and connect with them online. 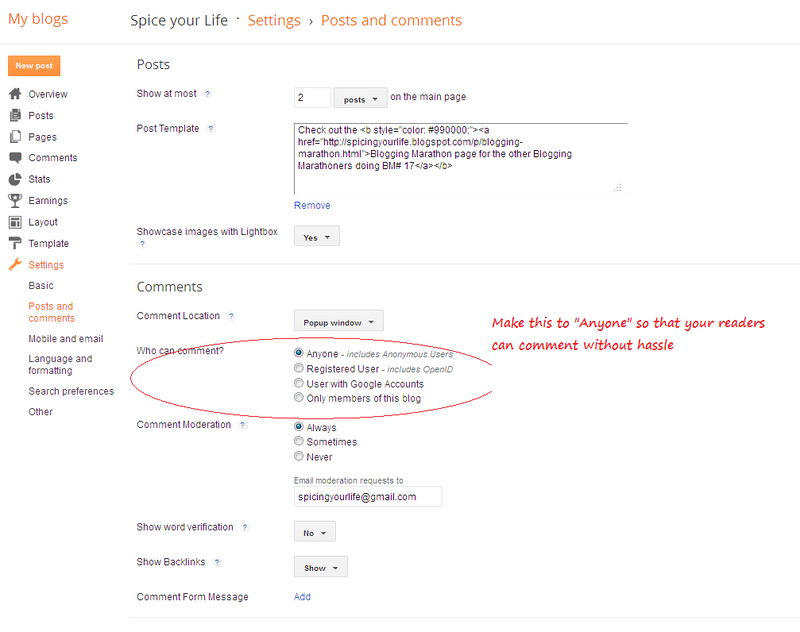 User with Google Accounts – Selecting this option, makes it mandatory for your to have Google account to comment on your blog. Only members of this blog – This is for blogs that are private. Only team members can comment on this blog. I hope you enable this and enjoy more feedback from your readers. wonderful post..and a helful one.Thanks for sharing!